Join the discussion on our forums! 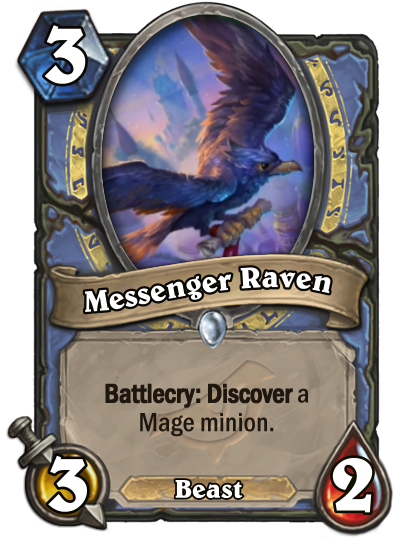 Come discuss Messenger Raven over in our dedicated Messenger Raven discussion topic. Battlecry: Discover a Mage minion. You can make a collect CAW! Kabal Courier saw play, this compares favorably to that I would think.